Two nonprofits are coming together to do more for housing in the Quad Cities. 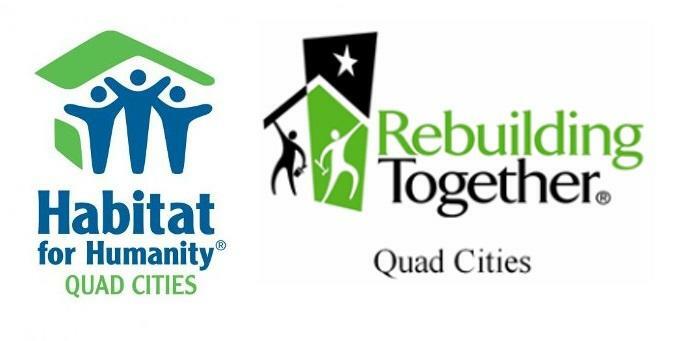 As of February 4th, Rebuilding Together Quad Cities will become a part of the local chapter of Habitat for Humanity. The organizations have worked together before on home repair and neighborhood clean-up. Now, they'll be able to pool their volunteers and resources. Habitat Executive Director Kristi Crafton says they plan to offer new services, and are currently working on a pilot program for building modular wheel chair ramps that can be delivered wherever they are needed. "I just think that overall it is such a tremendous gain for our community," said Crafton. "We will have lower overhead and administrative costs, combine our expertise, so in the long run we'll be able to impact more families than either of us could really do alone." Rebuilding Together's current executive director, Steve Barton, will become an employee of Habitat for Humanity, and lead repair programs. Rebuilding Together was founded in 1990 as Hearts and Hammers, while the local Habitat chapter was founded in 1993.